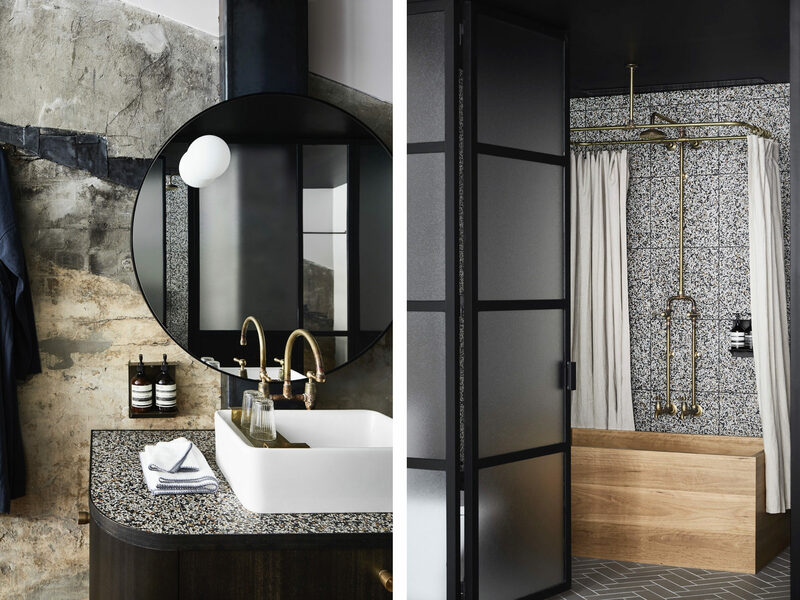 Paramount House Hotel anchors a new cultural hub that includes an art deco cinema and a restaurant by the team behind the internationally-acclaimed Ester, transforming previously sedate Surry Hills. 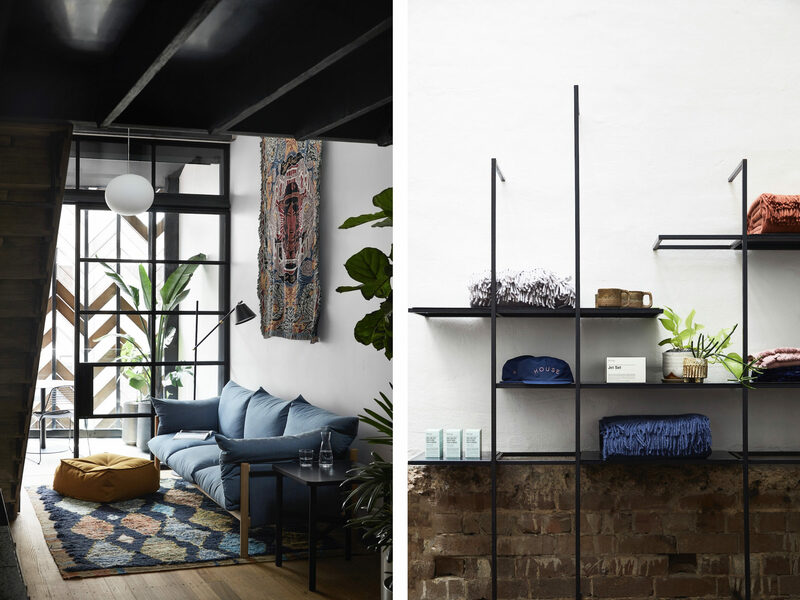 Traditionally known as a quiet-after-dark Sydney suburb, Surry Hills is suddenly turning up its volume following a passage of new openings down Commonwealth Street. 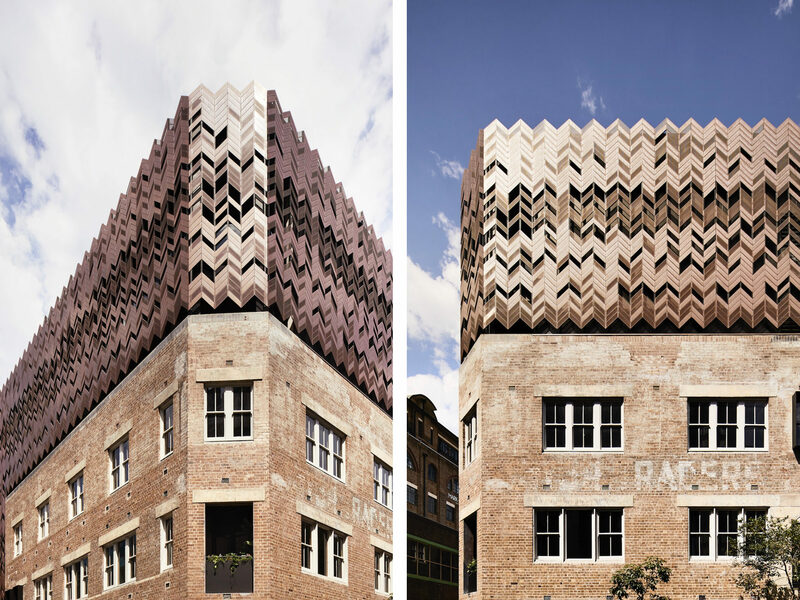 Steps from the city’s sprawling outpost of Melbourne’s wildly popular Australasian restaurant Chin Chin, sits Paramount House Hotel, the long-anticipated centerpiece of Paramount House, a meticulously packaged day-to-overnight neighborhood hub—café, workspace, farmers market, rooftop health club, basement arthouse, and destination restaurant included—occupying the eponymous film studio’s former 1940s headquarters. 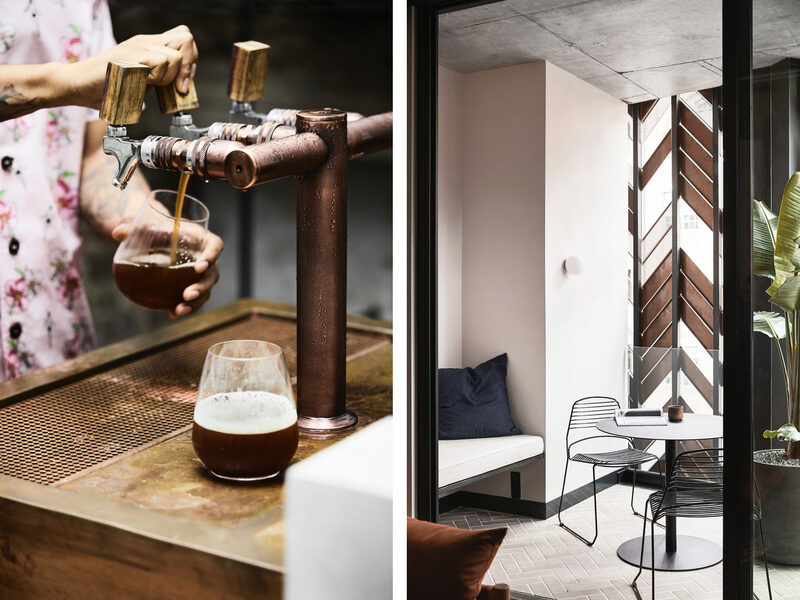 The property is the first for local investors Mark Dundon, Russell Beard, and Ping Jin Ng, who in a feat of reverse engineering developed the hotel’s thriving lobby scene five years earlier, opening Paramount Coffee Project long before there was a hotel to build around it. 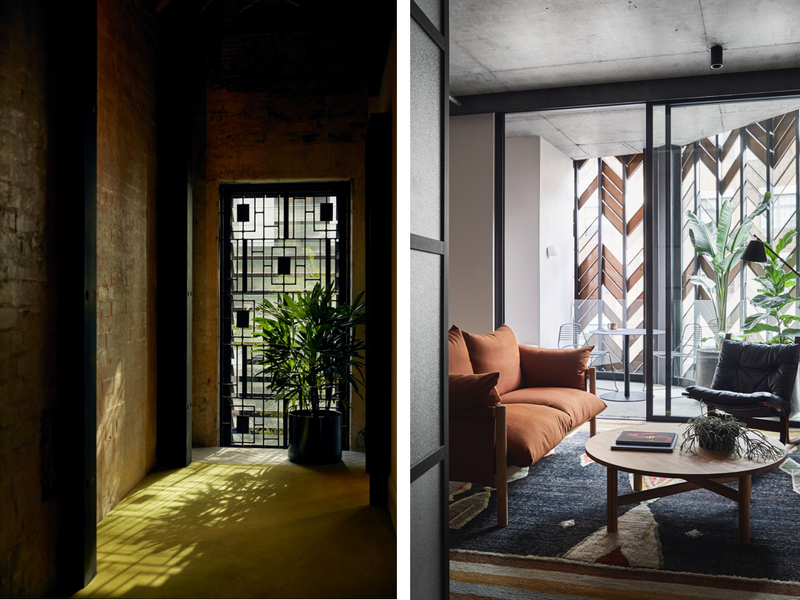 The partners entrusted the design to Melbourne’s Breathe Architecture, which won the trio over with its work on The Commons, a sustainable Melbourne apartment building, as well as Beard’s own Sydney home, and the local council gave its blessing to work around the structure’s heritage elements. “They definitely allow these buildings to change over time, to have different identities—it’s a credit to the city,” says Beard, as he points out some overlooked markers on the lobby floor. Invisible to most guests, they signify where walls once stood, but no longer served a meaningful purpose. 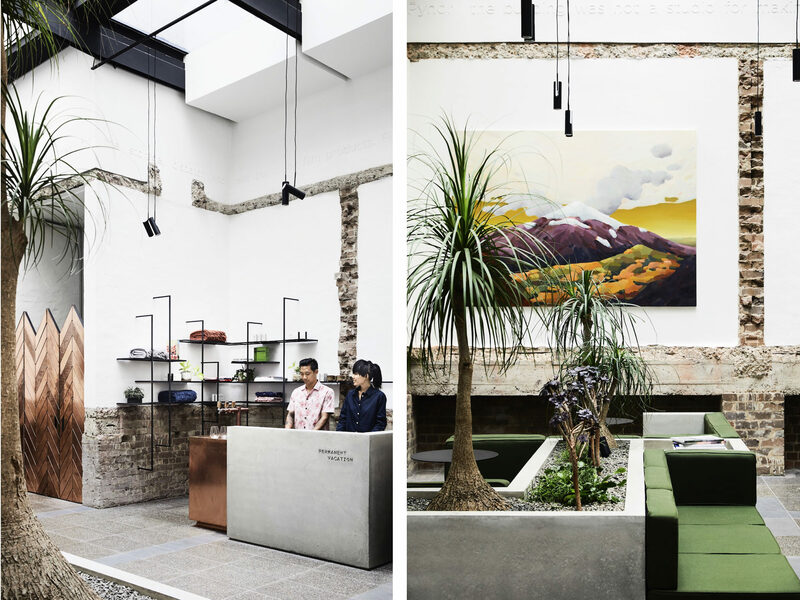 The lobby is now a living organism, an atrium overflowing with houseplants that will eventually grow to overrun furnishings like concrete loungers doubling as planters, and padded with vegetal green cushions. Plant life thrives in the 29 sun-dappled rooms as well. 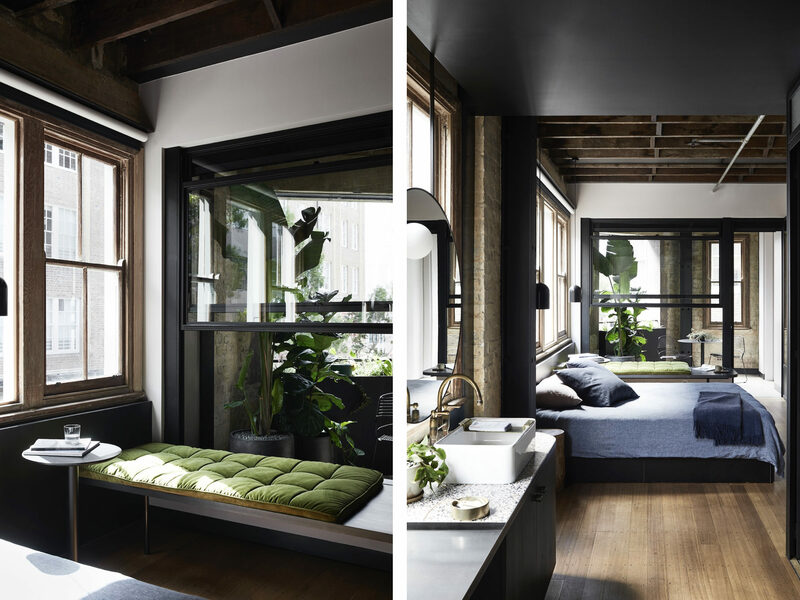 Each is furnished in crumpled linens and Tasmanian Sel Jak blankets, with premium accommodations showcasing Native Blackbutt wood bathtubs and enclosed patios, intimate touches that give each space the feel of crashing at your friend’s fashionable loft. A well-stocked fridge does the same; it’s loaded with local Yulli’s Brews ales and charcuterie from nearby LP’s Quality Meats. 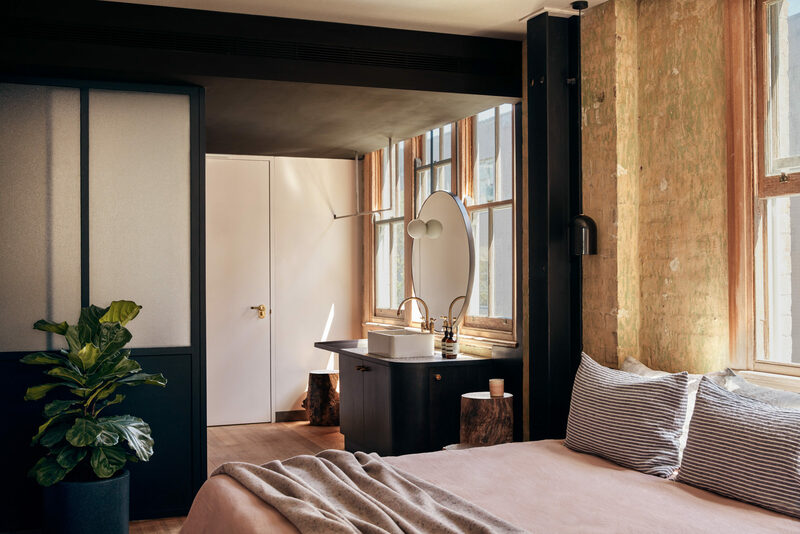 “The minibar was important to me,” says Beard, who also owns local roastery Reuben Hills and will claim a stake in the soon-to-open ground floor restaurant Poly, from the team behind internationally-acclaimed Ester.